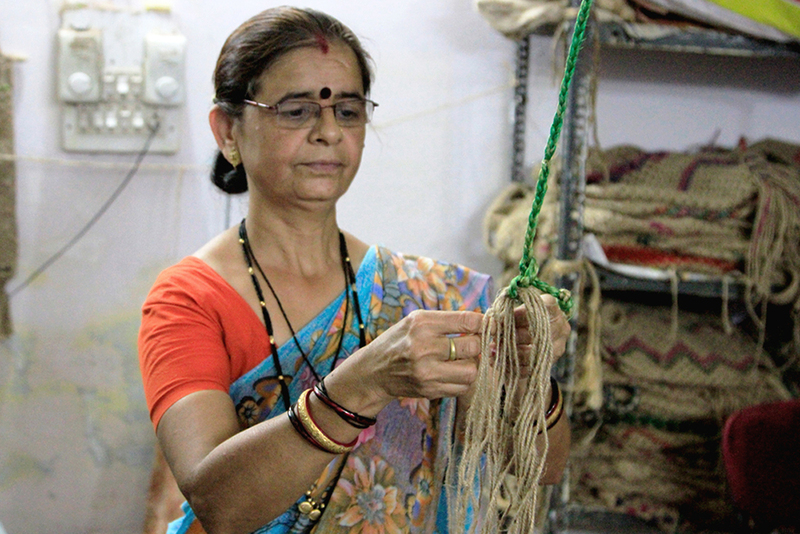 Jute fibre comes from the stem and ribbon (outer skin) of the jute plant and first extracted by retting. 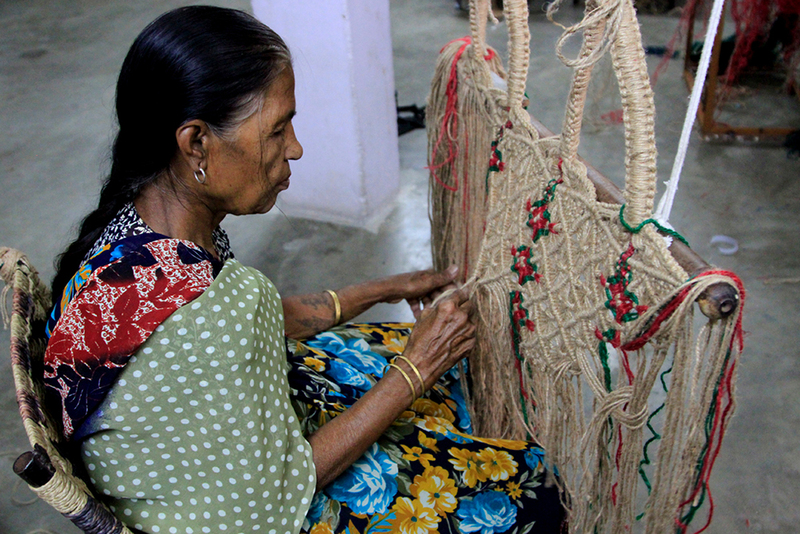 The retting process involves bundling jute stems together and immersing in low, running water for few days. The tissues of the stems are then decomposed under bacterial action. The resulting soggy mass consisting of strands of overlapping fibres are then stripped off manually, washed in water and dried under the sun. 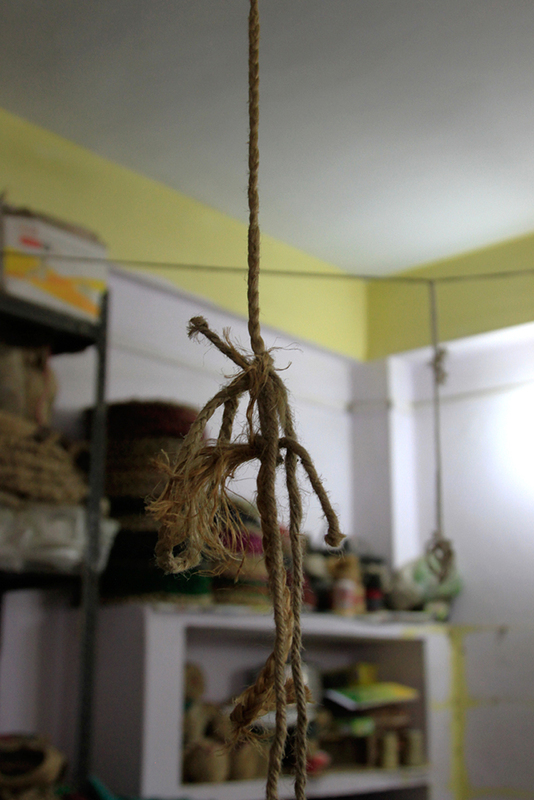 Then the fibres are spun in to threads or strands. 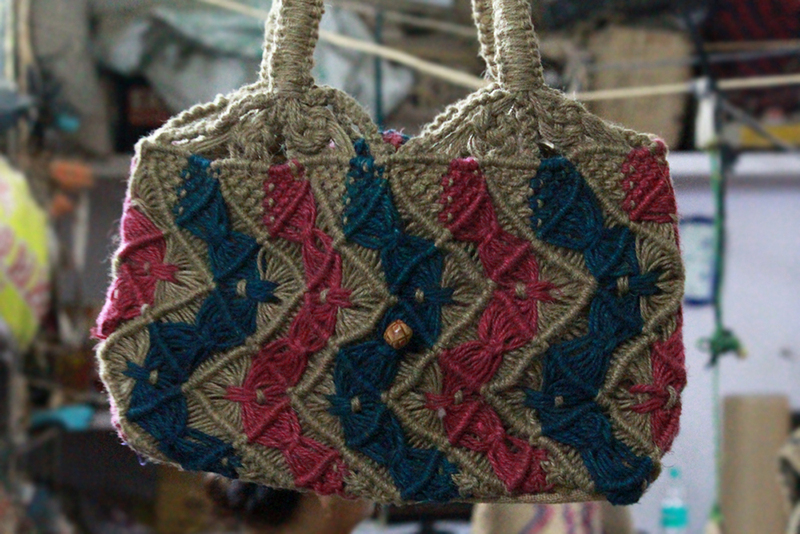 Whereas jute fibres are easily available, artisans buy the basic material from the local market itself. 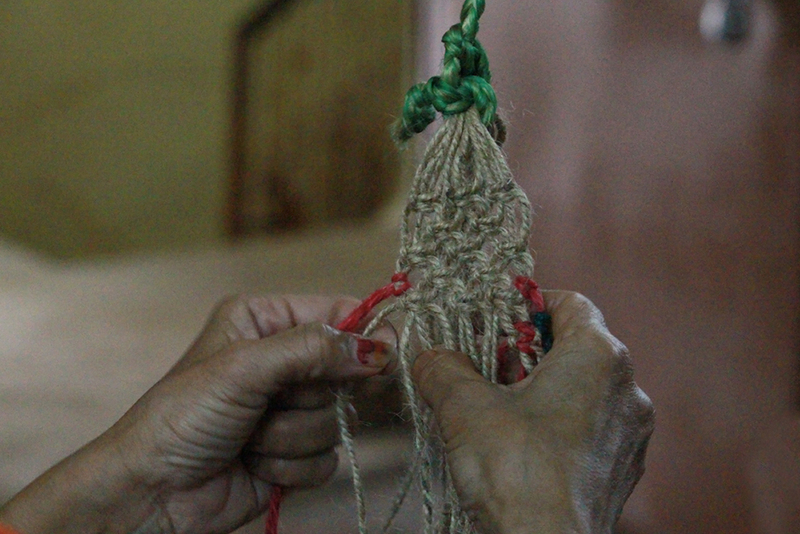 Initially the jute fibres are braided to make strands. 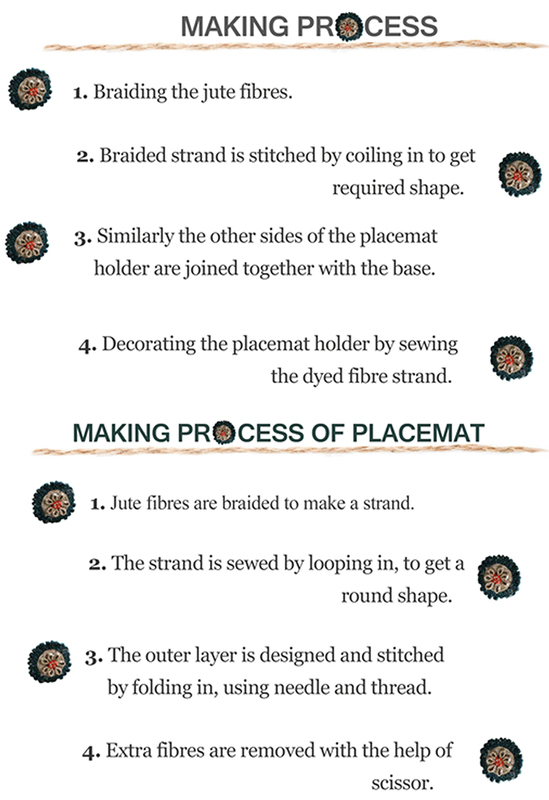 Then the braided strand is stitched by looping in with the help of needle and thread to obtain a required shape for the base of the placemat holder. Similarly the other sides of the holder is stitched with the base using same technique to obtain cube shape and joined together to make a placemat holder. 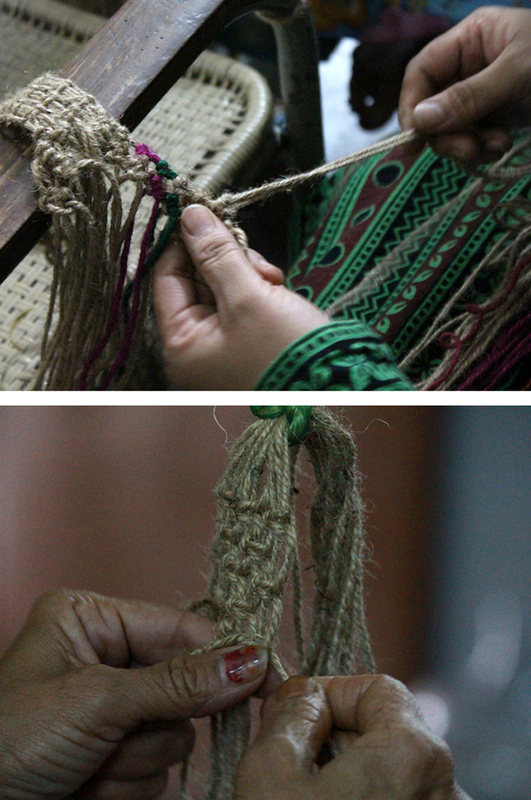 Once done with the stitching, artisan start to decorate the holder by sewing the dyed fibre strand, which is dyed by using natural colours. After finishing the placemat holder, artisan start to make placemats. 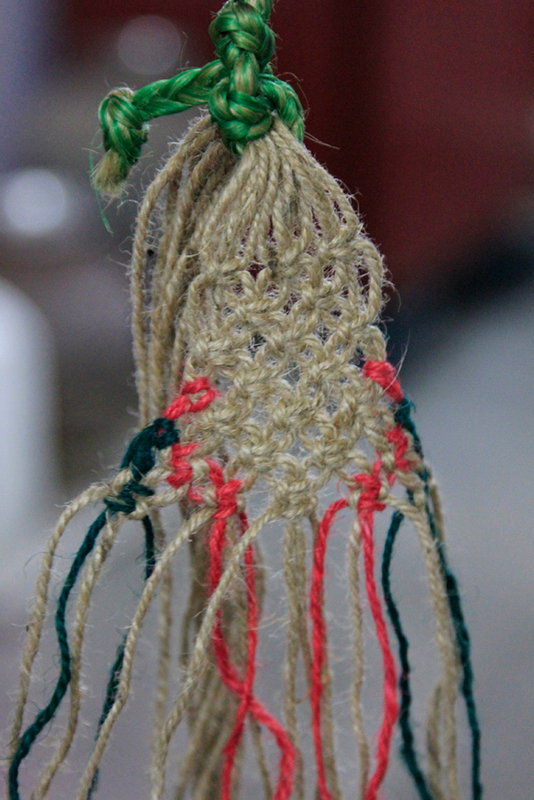 Once again the braided strand is stitched by coiling in. 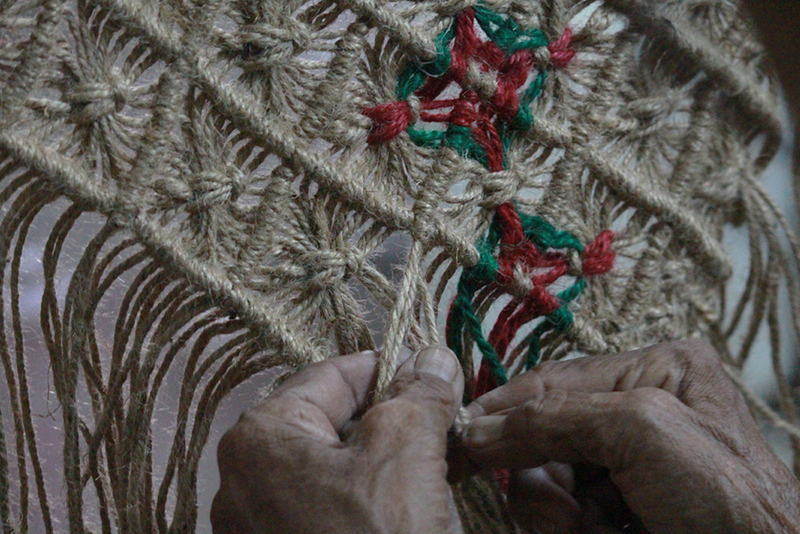 While stitching the outer layer of the placemat, artisan prefers a colored fibre strand. 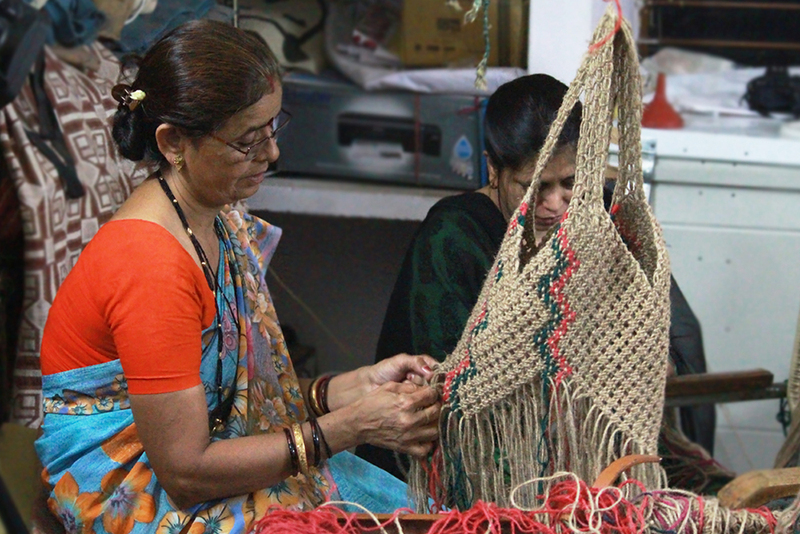 Then the outer layer is designed by folding in the dyed strand so that the folding gives a flower attire and stitched along with the coiled strand for the stiffness and durability. 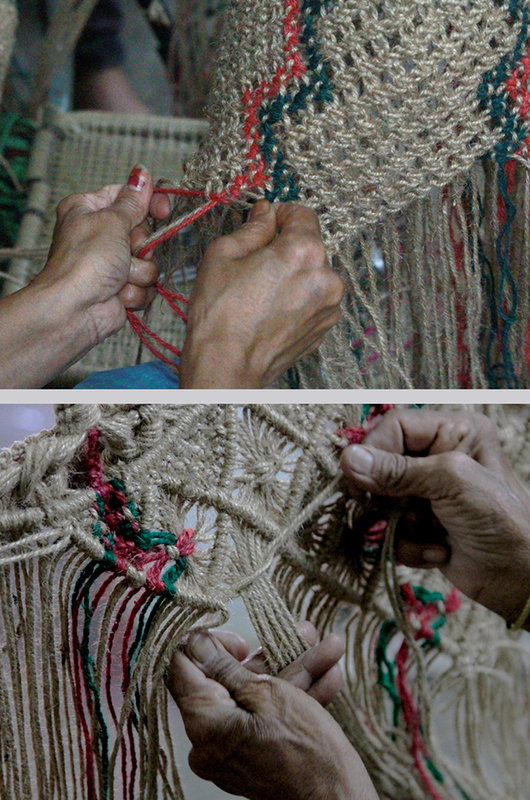 The unwanted extra fibres are removed with the help of scissor to get a fine finish.